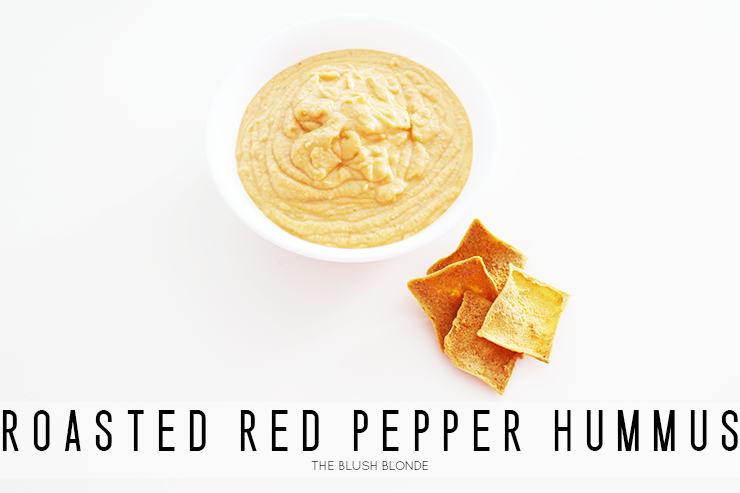 I've been making this hummus for years and kind of just came up with the recipe one day while I was playing in the kitchen. 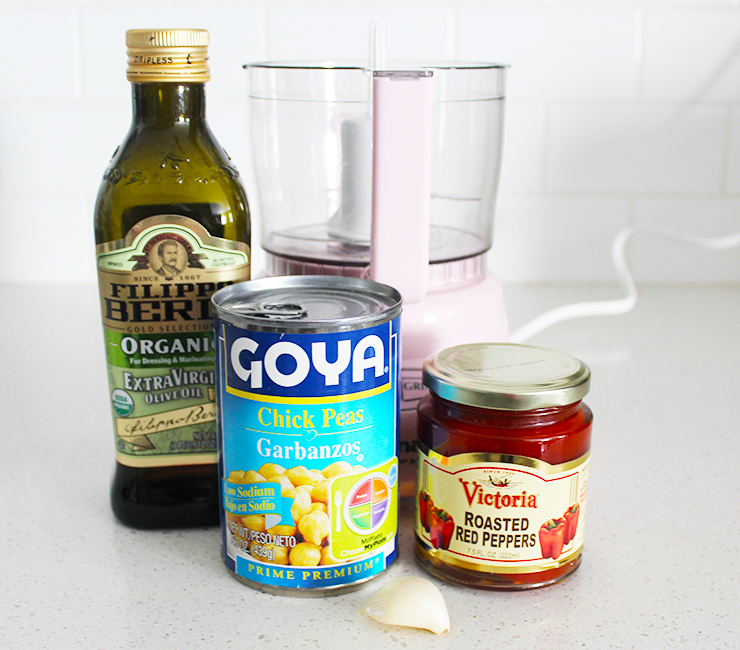 I love simple recipes with minimal, yet quality ingredients and that is exactly what this is. This recipe is also insanely easy to make, seriously anyone no matter their cooking skill can whip this up. I can guarantee that it always impresses people too and they will think you worked way harder than you actually did, which is always a win in my book. It's fun to bring to a party, serve as an appetizer to dinner, or just have it on hand for a snack. 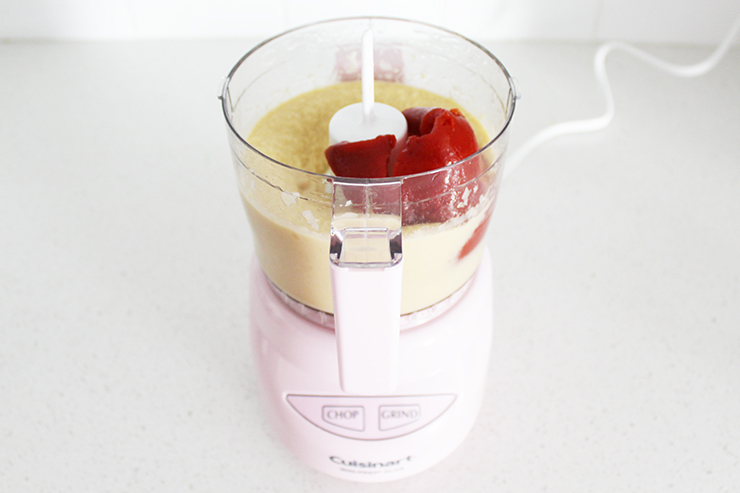 It's a quick, very healthy recipe that is perfect to make for this weekend and enjoy! 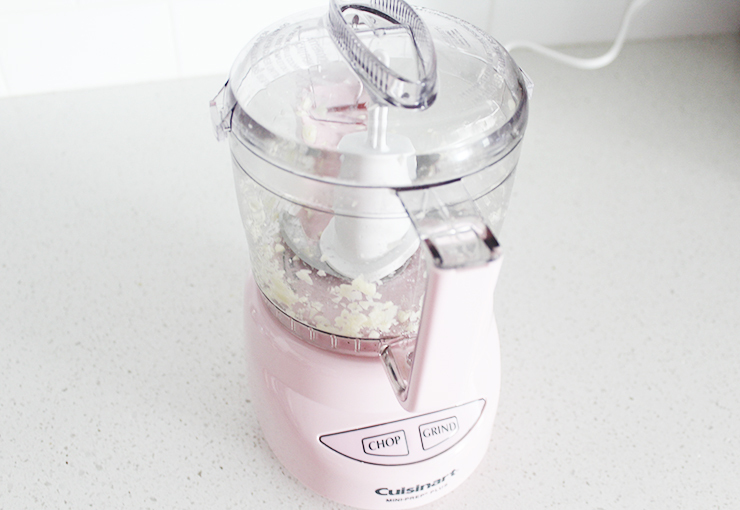 -In a food processor process garlic until finely chopped. 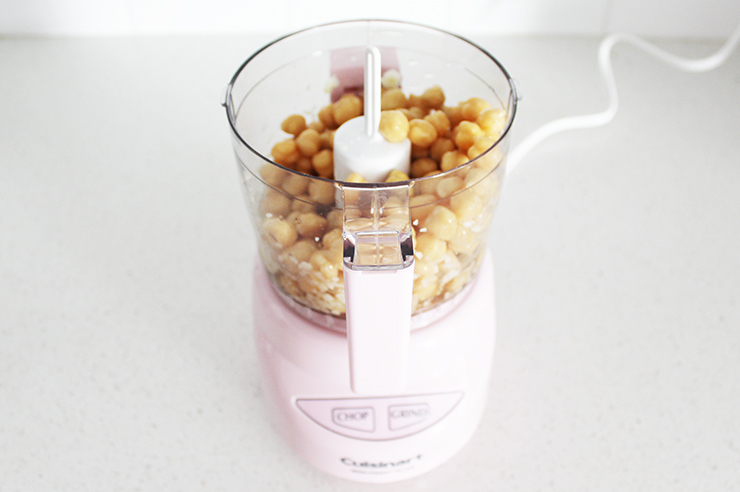 -Add chickpeas and process until smooth. -Next add the extra virgin olive oil and process until incorporated. -Lastly, add the roasted red pepper to the mixture and process until completely smooth (see pictures for texture reference). 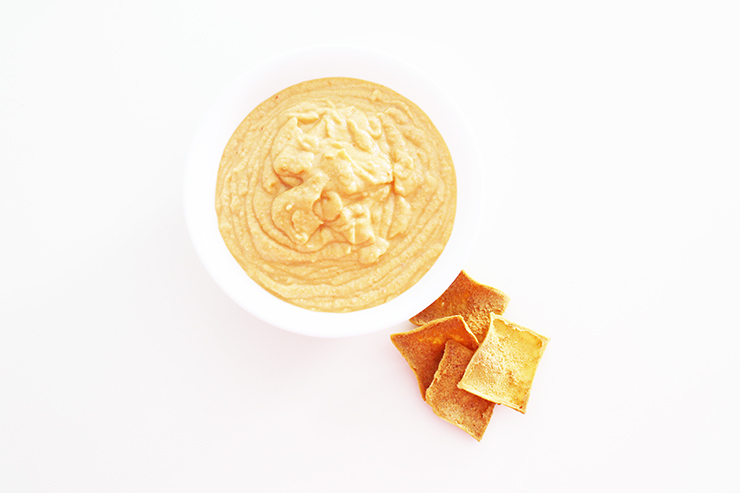 Have you ever made hummus? What do you like to put in it? I'm pretty easy when it comes to my hair, I've never dyed it or had any kind of chemical treatment done to it, and to style it I either blow it dry and flat iron or curl it or just let it air dry. I also take really good care of my hair, but beyond oil treatments and deep conditioning it I don't really do anything to it. I've cut my hair on the shorter side quite a few times and never really think about it because my hair grows rather quickly; however lately I've been trying to grow out my hair and want it to grow faster than it actually is. What's a girl who wants longer hair instantly to do?! Get extensions of course! 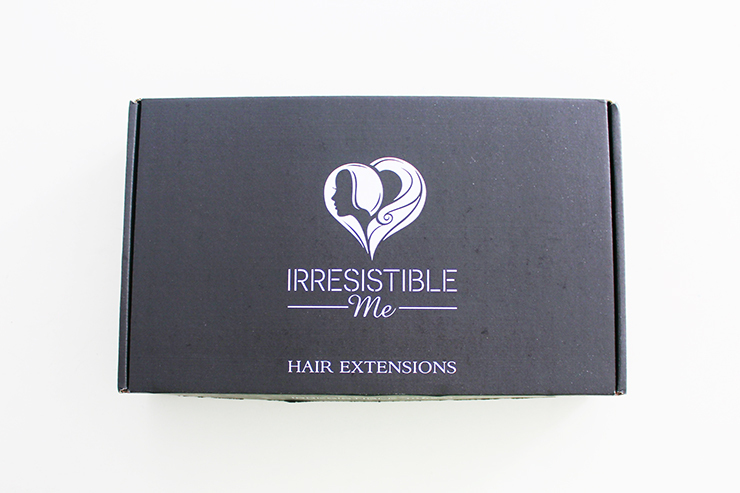 When Irresistible Me reached out to me to try their clip in human hair extensions I jumped at the chance! Irresistible Me specializes in high quality extensions at great prices and since I've been wanting my hair longer for a while now I could not think of a better partnership. Before I could try them out there were a few decisions I needed to make, specifically the color, length, and weight of the extensions. Thankfully Irresistible Me had a few handy tools to help with this; you can watch this video for help picking your color and look at this pin for help picking the length. In regards to the weight it was explained to me, "the weight (100g, 140g, 200g) refers to the total weight of the hair you will order without the clips attached. The thickness of the hair is relative to both the weight and the length you choose: a 14 inch 200g piece will look thicker than 24 inch 200g piece, so you have to keep in mind a balance." After using their tools and taking the advice into account I picked the Silky Touch 20 inch 200g in Silky Platinum Blonde. 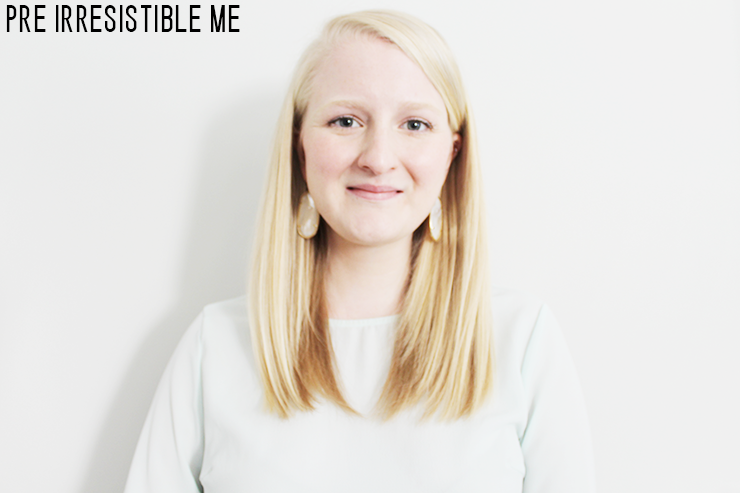 I was so excited when the Irresistible Me box arrived at my doorstep! When I opened the box I was very impressed with the quality of the clip in human hair extensions. I had only ever seen clip in extensions once before and this set was much nicer than the previous pair I viewed. Since I had never worn extensions before I was absolutely clueless on how to put them in, so I watched a YouTube video for some help. I loved the video so much and it was so helpful that I am putting it below so it can help you too. After watching this it was relatively easy to put the extensions in. I'm not going to lie, it's definitely a process getting them in, but not a difficult one and it doesn't take long either. After putting them in I flat ironed them to match the style of the rest of my hair and they reacted nicely to heat styling. While the color of the extensions was close to the color of the top of my hair, underneath my hair is a darker blonde so I also had to do some blending of the extensions to cover that up. None of this was hard to do and the extensions were very easy to style and work with. The extensions looked nice and I imagine were relatively comfortable for extensions. I do have to say that they did make my head warm and itched a little bit, but they didn't pull, hurt, or give me a headache. My overall opinion on Irresistible Me is that they are a good purchase if you want to add thickness and length to your hair. 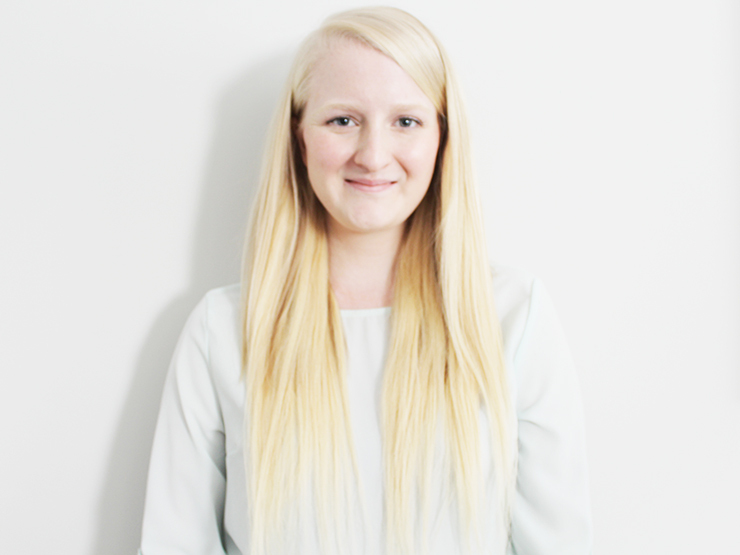 If you're looking for flowing mermaid hair (which is totally how it felt!) then these are perfect for you! 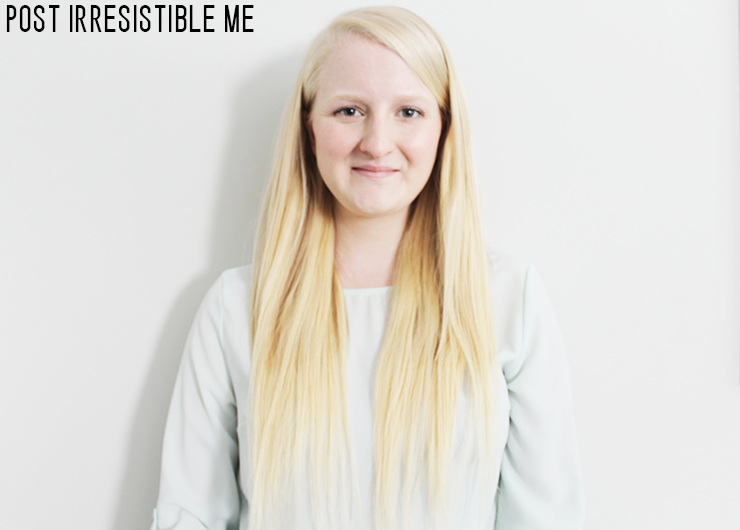 *I was given Silky Touch 20 inch 200g clip in human hair extensions in Silky Platinum Blonde by Irresistible Me to facilitate my review, however opinions of this product are all my own. 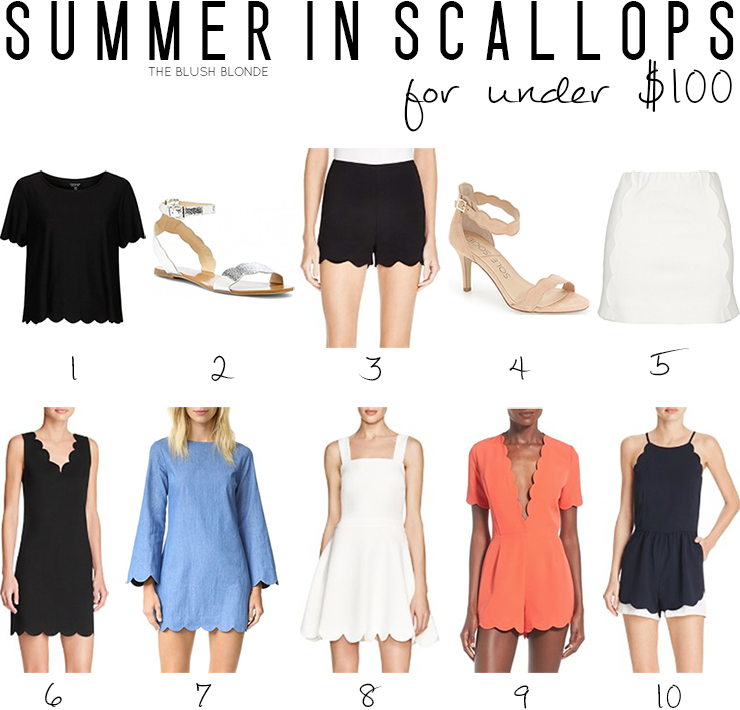 Today I'm linking up with Thursday Fashion Files, Throwback Thursday, #WIWT, Spotlight, Thoughts for Thursday, and Summer Style. Exfoliation is a very important part of any good skincare routine. If you do not exfoliate than you are leaving countless dead skin cells on your face to clog your pores, cause texture problems, enhance wrinkles, and make dark spots look darker. If you want clear, glowing skin (and c'mon who doesn't?!) exfoliation is an absolute must. There are many different options when it comes to exfoliating, which can make it a bit tricky. There are also necessary rules to follow when exfoliating so that you don't overdo it and damage your skin. 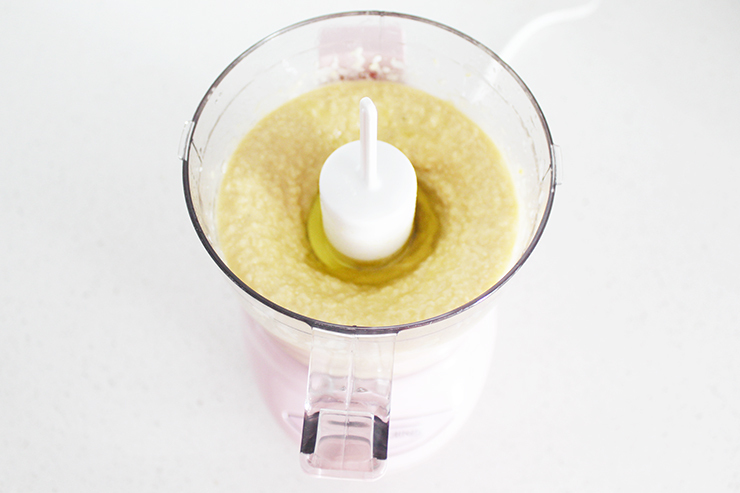 In order to help you navigate all of this, today I am telling you everything you need to know about exfoliating. 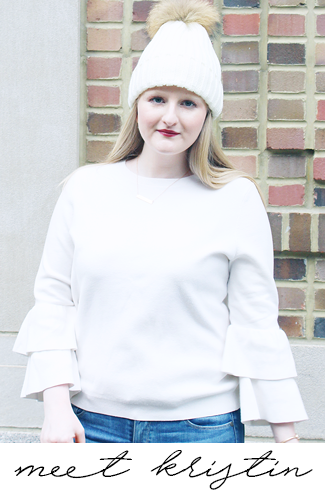 Exfoliation is one of my favorite parts of skincare and I can confidently say that it has changed my skin for the better, I hope that after reading this you can say the same! Exfoliating is a way to remove dead skin cells, debris, and more from the surface of your skin. Dead skin cells build up on your skin making it look dull, sallow, and lackluster. Additionally it can clog pores, make wrinkles more visible, and make pigmented spots more noticeable. Exfoliation sloughs away dead skin and helps with all of the aforementioned problems it causes. It is necessary to exfoliate to keep your skin looking great. By removing the dead skin cells that have built up you not only improve the appearance of your skin, but allow products to penetrate skin better and work harder. Exfoliating brightens skin, changes its texture, and gives it an overall "glow." If you exfoliate your skin a few times a week you will help to keep dead skin cells at bay and prevent the issues they cause. There are two types of exfoliation, physical and chemical. Both have different benefits and I think that it's important to incorporate both into your routine. Below I explain each type. Physical exfoliation is what most people think of when they hear the word exfoliate. To physically exfoliate you typically use a scrub with granule ingredients. 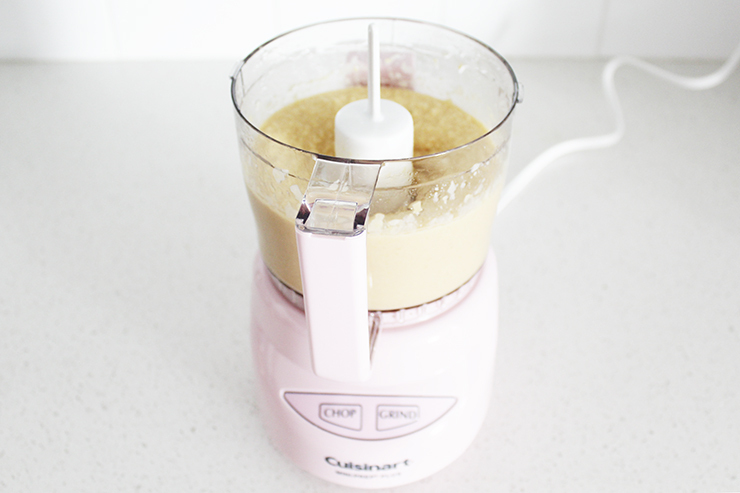 You use a physical exfoliator to to "scrub" your skin and the granules work to remove dead skin cells. Granules typically used in scrubs include sugar, sea salt, walnut shells, nuts, jojoba beads, and more. You can also use a facial brush or washcloth to physically exfoliate. Basically any method in which you perform an action to remove dead skin is physical exfoliation. Chemical exfoliation* uses chemicals to dissolve and break down dead skin cells to remove them from skin. Ingredients that chemically exfoliate include alpha hydroxy acids, beta hydroxy acids, and enzymes found in fruits such as pineapples and papayas, among others. Chemical exfoliators tend to be more gentle than physical ones and are great at unclogging pores. Any method in which you use an acid or enzyme ingredients (without granules, a skin brush, etc.) to remove dead skin cells is chemical exfoliation. *Recently most professionals (dermatologists, estheticians, beauty editors, beauty magazine, etc.) are saying that chemical exfoliation is the best way to exfoliate because it is more gentle and effective. The key to properly physically exfoliating the skin is to do it gently. I know that when you have a scrub everyone's first instinct (including mine) is to aggressively scrub at your skin because that seems like it would be the most effective; however, you're actually doing more harm than good by doing this. By harshly scrubbing your skin you can create micro tears in the skin and cause damage. Instead you need to lightly massage a scrub onto damp skin in a circular motion to allow the product to do the work. You also do the same with a face brush or wash cloth. My advice for chemical exfoliants is to follow their directions to a T. Each chemical exfoliant is used differently because of the ingredients it contains. The most important thing is to not leave a chemical exfoliant on your face for longer than the instructions say because you could potentially damage your skin. Chemical exfoliants are perfectly safe (and gentle), but only if used properly. This depends on your individual skin and is something that you need to experiment with for the best results. I recommend exfoliating two to three times a week to start and adjusting it from there (adding or subtracting a day). You also do not want to exfoliate every day with a scrub or chemical exfoliant that has the sole purpose of exfoliating. The exception to this is if you're using something like this, which the directions indicate are safe to use every day.